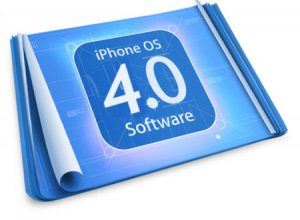 Less than a week after the iPad was launched, Apple lifted the warps off iPhone OS 4.0 of Apple’s mobile operating system. The new OS will add new functionality to current iPod touch, iPhone and iPad devices. Yes one has to agree that there is always a room for improvement in the OS. Now the new OS have the ability to run more than one, 3rd party applications at given time. While the OS supports multiple apps running concurrently, it forces limits to help ensure a positive experience with core functionality. The iPhone OS of today is capable of multitasking because the feature is currently supported on some native Apple applications – listening to music in the iPod app while web surfing or checking mail is a good example. The new iPhone 4.0 will support higher resolutions for the next-generation devices. This could help iPad owners as well. The iPhone apps do work on the iPad today, but the pixel doubling of lower-resolution software makes apps look blocky and blurry. Definitely, the camera in the next iPhone will be higher than the current 3-megapixel. But I wouldn’t be surprised to see a second, front-facing camera for video chatting in iPhone OS 4.0. We could even see third-party apps take advantage of such a change, although Apple may not allow access to such hardware for non-native apps. Google added this highly useful function to Android 2.1 and it ought to be a staple in any modern Smartphone. Apple added Voice Control in version 3 of the iPhone OS, but it’s limited by comparison — all you can use it for is to call a contact or control your iPod. However the new version will definitely removes these short comings.